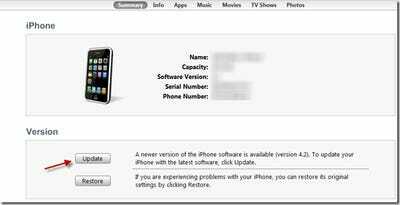 Many new iPhone owners are still perplexed on the fact as to how would they go about updating their phone to Apple’s latest firmware.iPod touch or iPhone users who do not feel the need to jailbreak or unlock, can go ahead and officially update their devices to the latest firmware without a glitch. The procedure is pretty simple and straight forward. 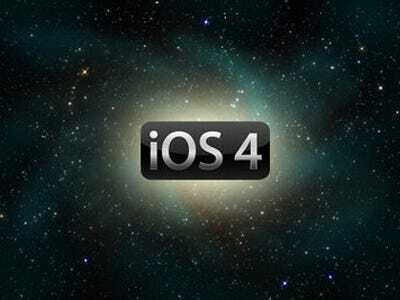 Just follow the guide below to know how you can update your iDevice to Apple’s latest official firmware. Connect your iPhone or iPod touch to your PC via the USB cable. Open iTunes if it didn’t open already. Now, from the left hand side window, select your device. You would now be able to see a screen which has information about your device, such as the Serial Number, Capacity etc. Now, follow simple instructions that appear on your screen to update your iDevice. Note – If you have never jailbreaked your iPhone or iPod touch, you can go ahead and use this method. But, if you have a previously jailbroken device, the above method is not for you. This is because updating your jailbroken iPhone would lead to a loss of 500MB disk space. The disk space loss is due to the fact that Cydia moves it’s files to a different location and makes them inaccessible. More the apps that you have installed in Cydia, more would be the space that you would lose. This space stays lost until you finally restore your device. Hence, you should NEVER use the update method on a jailbroken iDevice. The above method is a very simple method and is only recommended if you do not care about jailbreaking or unlocking your device. This method would update your iPhone or iPod touch to Apple’s latest official firmware. If for some reasons you were not able to update your device using this method, try to put it in DFU mode and then follow the same procedure. The above article on updating your iPhone to the latest Apple firmware was originally published at Guiding Tech’s mobile channel – GT Mobiles.